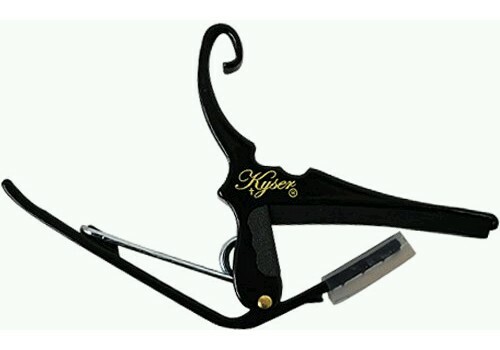 Here's your chance to get The Kyser Quick Change Guitar Capo. This is quick change capo that lots of pros use for live performances. The Kyser may just be the music world's most popular quick-change capo. This Capo is made of strong, lightweight aluminum with an innovative Spring-Tensioned Quick-Change that clamps firmly to hold the tone, while being easy to release and re-position with only one hand.